Texto ficcional escrito para o projeto ART BOOK produzido por Bruno Moreschi. 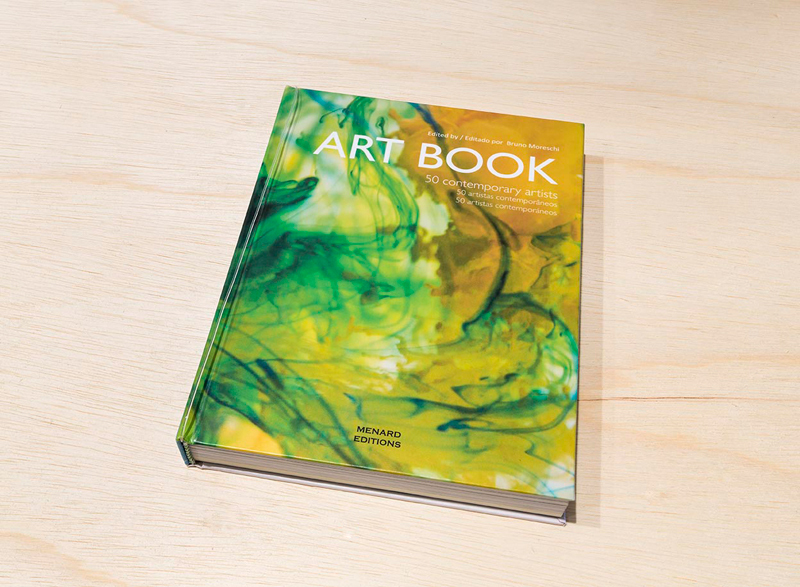 ART BOOK é uma enciclopédia de artistas de conteúdo ficcional. O trabalho apresenta biografias, imagens de trabalhos e declarações de 50 artistas inventados. O conteúdo do livro, inclusive as 311 obras fotografadas, os textos e a diagramação, foi produzido pelo próprio Bruno Moreschi . I preferred to account my doctorate research about the curatorial procedures in exhibitions of contemporary art in Brazil. I observed that even if the contemporary art production discusses the problematic concerning the space, the authorship, the participation, the ephemeral and the process – as mentioned by Albert – most of the exhibitions still present a curatorial explanation text (at times, descriptive; other times, hermetic) at the entrance. The truth is that, while researching, I came across very few curatorial notes that deconstructed the traditional exhibition model of the “white cube” and/or the “black box” in the last decade in São Paulo, the Brazilian city with the greatest number of art exhibits.